Smart meter is important part in smart home system. Now days, smart home is more and more popular and realize home automation. This upon to all kinds of communication mode and modular. So far Present electrics controlling the lighting, heating, blinds act individually and independently. Now is the time to change this. All those systems should function together, cooperate, communicate, to better serve Your needs. They should increase your comfort and security, lead to energy savings and enable any changes and expansion in accordance with the changing needs of the users. That's why our goal is to develop our meters more smaller and function as well as nice looking. Our Smart meters help to realize these, through combine with all kinds of communication, e.g. 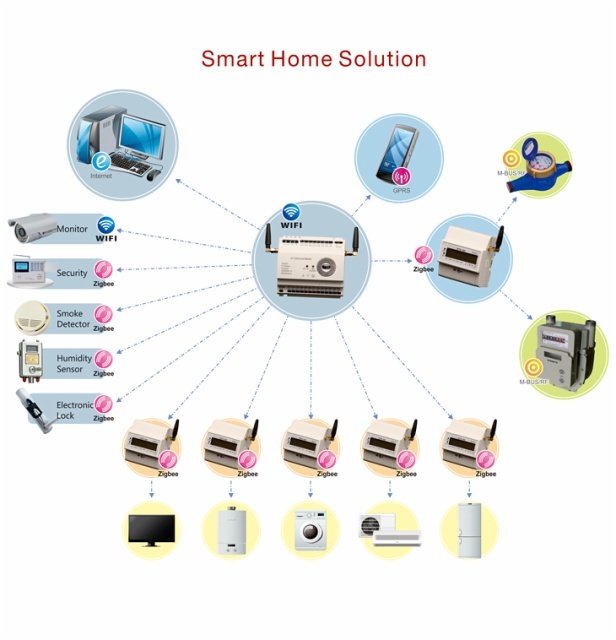 Zigbee, RF, GPRS and so on and already used in many smart homes from different countries.